Travelling is part and parcel of my job. We have clients spread across every continent except Antarctica, although it is possible someone has been doing some product testing for penguins without me knowing about it. With all that travel, there are certain things that you start to miss. Not the important things, like sitting in your favourite chair, spending time with your family or remembering where you are when you wake up. The little creature comforts that make life worth living. Another big part of our job is solving the little problems in a process, the pain-points that make users less likely to keep moving forward, so it will come as no surprise that when life gave me lemons, I found a portable lemonade maker that would fit into my carry-on bag. Even I am wiling to admit that my collection of travel accessories might be getting a little bit excessive, but each one of them is such a marvel of design that it is difficult to choose a favorite to talk about. Like most of the Labs, and indeed the adult population of Britain, I am a little bit addicted to coffee. If I do not have a cup of my beloved bean juice before I start work then it is going to be a very bad day, for me and everyone else that crosses my path. The instant coffee that you find in most hotel rooms and trains just won’t cut it. I’ve tasted the good stuff and now I can’t go back. 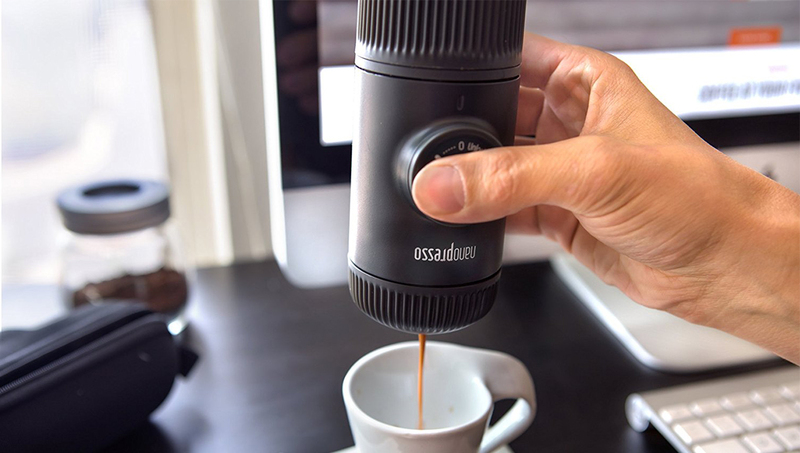 Enter the Nanopresso; a portable espresso machine with an inbuilt scoop and cup so that I can get what I need to get moving in the morning, wherever I am in the process of travelling. At home we are accustomed to having control of our environment, but during travel we lose that. We have to tolerate whatever temperatures are forced on us, and given that air conditioning is easily broken and the trains in the UK keep their central heating turned on until midsummer this means spending far too much time being too hot. I hate being hot. I don’t know if being “hotblooded” is a thing. But if it is. I am. 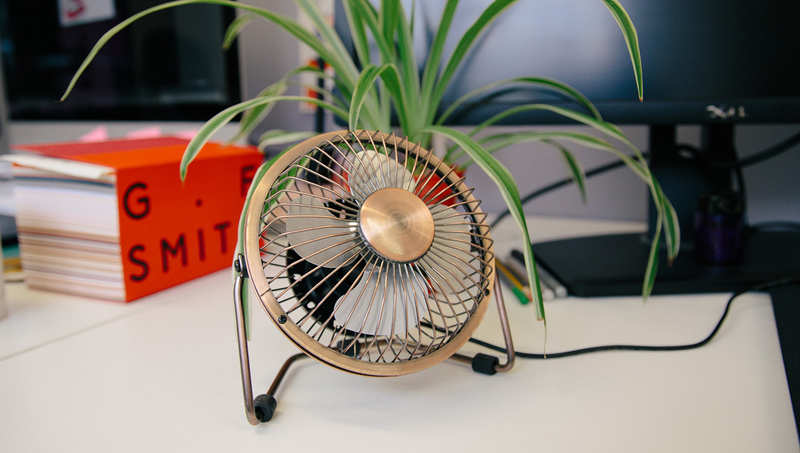 This little fan is lightweight and works wherever there is a plug thanks to the Mu Portable Charger, which could probably be an item on this list all by itself. 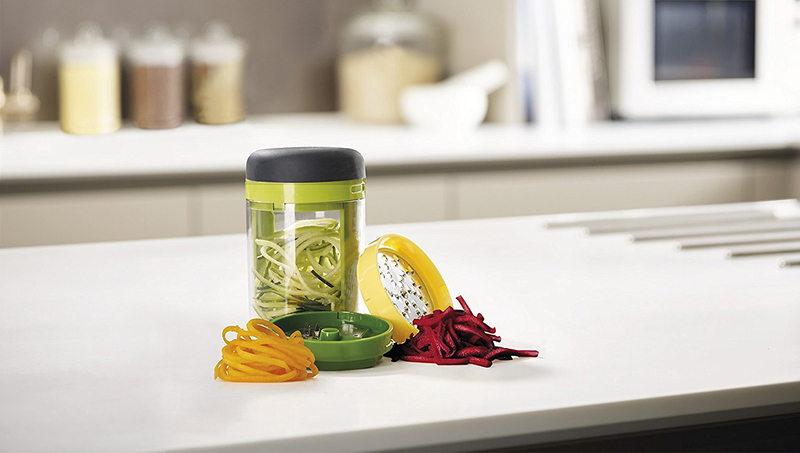 If I am in an AirBnB and craving courgetti, sitting in the office staring at takeout menus with a growing sense of desperation or just in too much of a rush to try out the funky new root vegetable I discovered at a street market, this portable spiraliser lets me spin out ribbons of delicious veg no matter where I am. Combined with my Lehue Steamer, I can have all the comforts of a fresh home cooked meal anywhere. I’m a big believer in leftovers, I bring them into work from home for my lunch. I squirrel away anything that is leftover from lunch for dinner. This has come with some unwanted consequences, like a saucy laptop and odd aromas lurking around my handbag. Thanks to these handy little pockets, I can scavenge all that I want from the Labs lunches without consequence! Provided that my co-workers never find out. Maybe I shouldn’t have put this one in the blog post. These are just a few of my favourite gadgets to make the little parts of travel that I can control into a more comfortable experience. 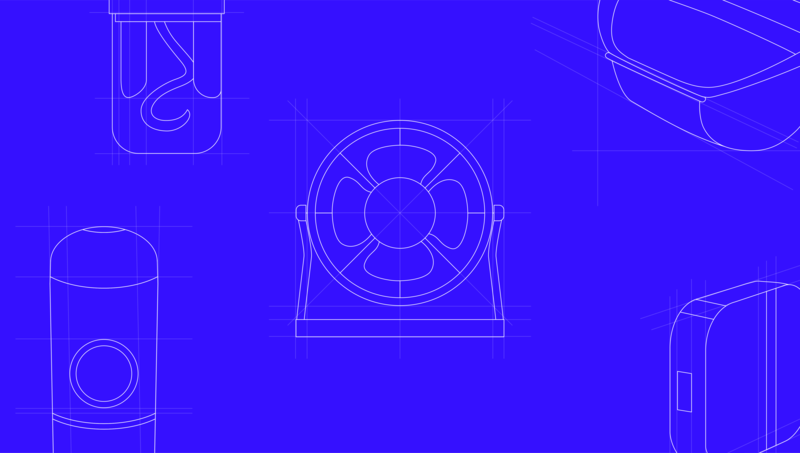 Every single day the innovation that has gone into the design of these – mostly silicone – products is an inspiration.